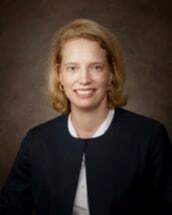 Kelly K. Daughtry offers over 18 years of experience in areas of complex litigation in State and Federal Court in the area of civil law and domestic relations. She has participated in all areas of trial practice. She represented business owners in declaratory judgment hearing which involved complicated legal theory and represented an individual tried on the charge of first degree murder who was found not guilty. She was the lead counsel in John W. Rumley et al. v Bayer CropScience, L.P., a product liability case that lasted for a five week period. Ms. Daughtry was admitted to practice law before the North Carolina Supreme Court in 1995 and the United States Supreme Court in 2006. She is Board Certified in family law and has tried many complex equitable distribution cases, often involving substantial assets, to include ownership interest in valuable real estate and business entities. She has extensive experience in all areas of family law to include pre-martial and post marital agreements, separation and property settlement agreements, child custody, child support, alimony, marital torts, and third party claims.